Are you looking to increase your business visibility and build the professional image your business needs? SignEdge provides auto wraps, personal and business car wraps, boat wraps, and more to do just that and more! 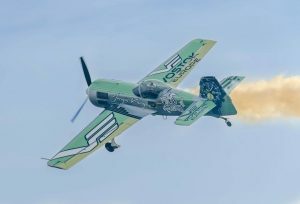 Whether you operate on land or water, we will create the perfect vinyl wrap for to help you achieve any business or marketing goals. 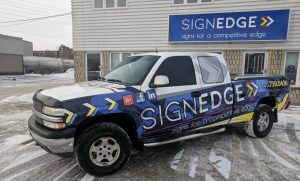 As your local Ontario signage shop, SignEdge not only designs and manufactures custom vehicle wraps, we also employ a full staff of professional installers who are specially trained to ensure your wrap is perfectly executed. 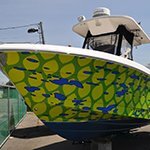 So whether you need a cohesive wrap for your commercial vans, trailers, or trucks, boat, or car – the professionals at SignEdge can’t wait to help you! 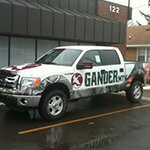 Call SignEdge at (705) 999-5332 for a Free Consultation with a Commercial Vehicle Wrap Expert! 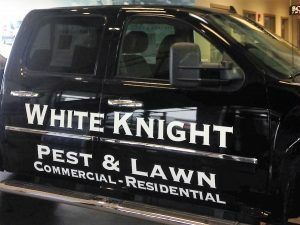 Sometimes, a full auto-wrap may not be appropriate for your business or personal needs. 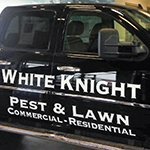 You can still use your vehicle as a promotion tool by investing in vinyl graphics, partial vehicle wraps, or vehicle magnets. 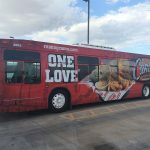 A complete vehicle wrap is the best way to turn your vehicle into a full advertisement powerhouse. 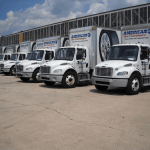 This type of wrap offers seamless coverage to your truck, car, van, bus, or trailer. 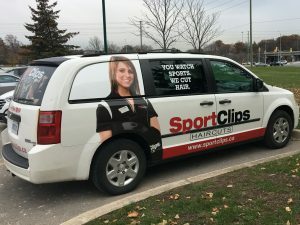 Fully customizable, this full-colour vinyl graphics option allows you to maximize your visibility everywhere your vehicle goes, even while parked! Our heavy-duty, premium-quality vinyl not only looks great in any weather condition, it also adds a layer of protection and is ideal for heavily used vehicles or watercraft, such as boats or jet skis. 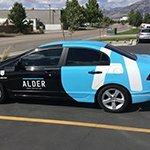 When you want to zone in on a specific area of your car for promotion, partial vehicle wraps the way to go. You can select any area of your vehicle, including your door, side panel, bumper, hood, tailgate, or any combination you wish. We will apply your partial wrap to your selected surface, working with the natural lines and joints of your vehicle to ensure an attractive, seamless finish. If you’re working on a budget, this is an ideal solution that gives you the look of a full wrap without the cost. Individual vinyl graphics are also great for business promotion and identification. Car vinyl graphics won’t offer a completely flush look, as they are cut into the shape of the image you want to be placed on your car. This means that you don’t get an entire sheet of vinyl as you would with a partial wrap. This allows for increased design flexibility, and allows for updating, moving and changing as your business needs change. You can add to your vehicle or take away from the graphics as you desire. Whether for business or personal use, these graphics are sure to help you grab the attention you need! 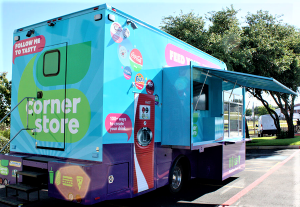 Most often, a single logo image or minimal text is best delivered through vinyl graphics. Do you need a removable option? 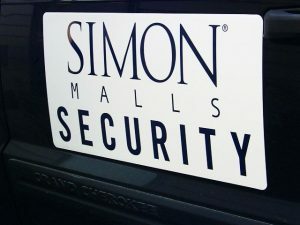 If you don’t need to advertise your business wherever you go, consider getting a vehicle magnet. These are the easiest options to replace and remove as you wish – whether you change vehicles often, live in a restricted signage community, or just want to go a little bit quicker on the highway on your personal time without it reflecting poorly on your business. Custom vehicle magnets are the least labour intensive option and are available in a wide variety of styles, sizes, and shapes. Do you want to take your vehicle’s wrap just a little bit further? Perforated window film can do just that! 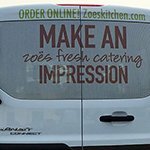 This window film can be printed with your corporate message, logo, or brand without interrupting the visibility of your vehicle inhabitants. Not only is this a show-stopping finish to any vehicle wrap, but also offers privacy to the interior of your vehicle! 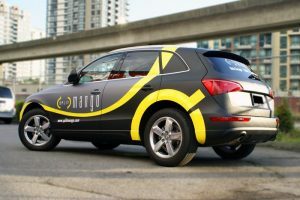 If you have a great idea for a impactful vehicle wrap, SignEdge can’t wait to create it for you. If you are stuck for the right message and layout, our wrap designers have you covered. We look forward to delivering quality signage products that grow your business. 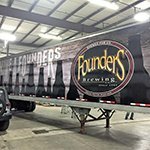 SignEdge creates cohesive fleet wraps, van wraps, trailer wraps, personal car wraps to help you achieve your visibility and marketing goals. 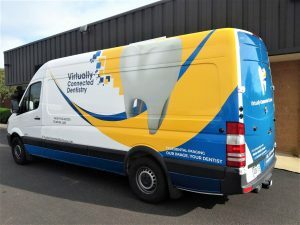 Our vehicle wrap specialists will discuss your marketing and visibility goals; this allows us to have a firm understanding of how your wrap should look, as well as your intended use and goals. Once we know what you need, we will develop a custom quote including any services you require, such as wrap design, manufacturing, and installation. 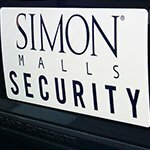 In addition to our vehicle wrap services, SignEdge provides high-quality business signage for every need, including indoor signs, outdoor signs, and any custom signs you may desire or require. 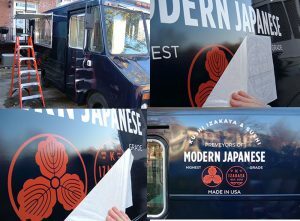 Vinyl wraps are ideal for publicizing your brand, increasing customer confidence, and establishing your company as experts in your industry. If you operate a business where you visit clients at home, like electricians, exterminators or cable repair teams, people can often hesitate to let you into their homes. With vinyl wraps, your clients will feel confident that you are who you say you are and will feel more comfortable welcoming you into their home. 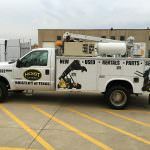 Ad wraps for vehicles are becoming more popular every day, but they continue to be the go-to choice for handymen, plumbers, repair techs, electricians, cable companies, landscapers, dry cleaners, tutors, and other industries. 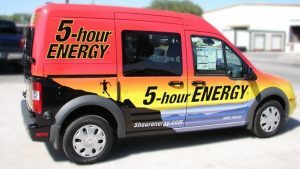 Every brand and business can benefit from the promotional power vehicle wraps and vehicle vinyl graphics have to offer. Every kind of business can benefit from promotional wraps. Your company can attract the attention and publicity it needs merely by going about your day as usual. Our wraps protect your vehicle, stay gorgeous in every weather condition, and condition your personalized business information, making them a smart long-term business investment. 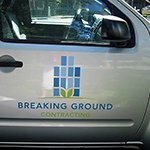 If you work out of a commercial office space, from a home office, or spend most of your time at the job site, car graphics and vehicle wraps will give your community the information they need to find you. If you would like a complete transformation for your vehicle, we can even include your windows for that seamless, polished look you’ve always desired! Completely legal, this film allows you to see perfectly, and provides privacy to the interior of your vehicle. Many businesses operate on or near the water. We have a marine-grade vinyl option for your boats and trailers that will withstand personal, corporate and charter usage. These wraps are durable and will not wear off in the sand, salt or fresh water. If you are a marina offering boat rental services, this is a fantastic solution for getting your message out consistently, while protecting your investment. 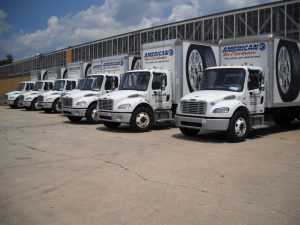 We can also wrap your truck, trailer, food truck, or any other vehicles in the same marine-grade wrapping! Since your maritime vehicles and boats need to have identification numbers on the side, you will want vinyl decals that stay put under even the harshest conditions. 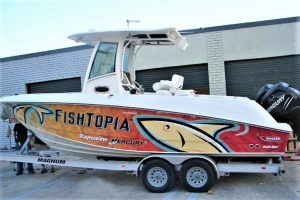 We print boat ID numbers, licenses, and the name of your vessel in an appropriate and legally acceptable font, and size with our boat wrap installers ensuring proper placement. SignEdge provides full design services for your auto wraps or vinyl graphics. If you aren’t sure what you want, have some idea, or already have a file or idea ready to go, our specialists are eager to help create the perfect vinyl wrap for your vehicle. With custom vehicle wraps, you control what you put on your vehicle, including logos, images, and text, as well as where your wrap is placed. During our free consultation, our vehicle wrap specialists will walk you through all of your options and recommend the right combination of messaging, layout, and wrap products that best fit your needs, goals, and budget. When you need a reliable vehicle wrap provider, SignEdge is the right choice! Our dedicated, talented staff will be there for you throughout your entire vehicle wrapping project. We start with a free consultation and discuss what you want on your wraps, the type of vehicles you have, and your visibility and promotional goals. We’ll go over any ideas you have, some of our thoughts, and come up with specifics for what you need on your wrap. Then, our graphic designers will create a sample of what your wrap can look like, allowing you to see what our designers see. This proof is an excellent opportunity for you to make any edits, including size, style, fonts, colours, text, or images as you see fit. This is your wrap, and we want you to be happy cruising around town in the finished product. After you approve your final design, we will start fabricating the individual elements that will make up your wrap or graphic, right here in our local wrap shop. Oce your wrap is finished, our team of expert installers will being applying your wrap to your vehicle. Our team will expertly apply it to your vehicle, ensuring your wrap looks precisely as you imagined, is perfectly aligned, and free of bubbles or ripples. Do you need to update, change, or remove your wrap? We can help with that too! If you have a minor or major repair, we are happy to assist with that as well. 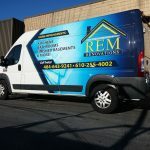 Our Ontario sign company is here for you throughout every phase of your project, providing the attractive, cohesive wraps and graphics your business needs to get noticed! 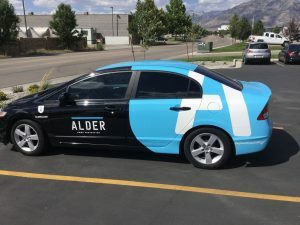 Whether you need full vehicle wraps for your entire fleet, partial wraps for a company car, or a magnet to easily switch your message between vehicles, SignEdge has the tools, resources, and skills to help you achieve your marketing success. From your initial free consultation through professional, attentive installation, we are dedicated to ensuring you get a quality wrap product at a reasonable price, delivered right on time. Call SignEdge at (705) 999-5332 for your Free Consultation with a Vehicle Wrap Specialist!